First Semester in UPLB will start on August 2014 while Summer Class for AY 2013-2014 will be on April to May 2014. The UP Board of Regents approved the calendar only for AY 2014-2015. This year's summer class may be the last summer class if the university continues with the pilot test as the term after Second Semester will be called Short Term. The following is the press statement released by the UP Office of the Vice President for Public Affairs. The University of the Philippines has adopted, on a pilot basis, the shift in its academic calendar starting August 2014. Recognizing the need to pilot test the shift, the UP Board of Regents approved the start of the school year in August 2014 in the following campuses: UP Manila, UP Los Banos, UP Baguio, UP Visayas, UP Mindanao, UP Open University and the UP College in Cebu. The seven (7) campuses completed consultations over the past year and have written the Board of Regents that they are ready to shift their calendar to facilitate academic exchanges, joint research, quality assurance benchmarking, and promote students and faculty mobility. UP Diliman has not completed its stakeholder consultations and will hold a forum on 10 February 2014 where experts will discuss historical, cultural, climatic and international context related to the shift in academic calendar. According to UP President Alfredo Pascual, “the decision to shift the academic calendar is part of the continuing efforts of UP to develop into a regional and global university and to maximize the opportunities offered by ASEAN integration and global educational partnerships”. Under RA 9500 (UP Charter), one of the university’s mandates is to “serve as a regional and global university in cooperation with international and scientific unions, networks of universities…in the Asia Pacific Region and around the world”. By 2015, ASEAN countries are expected to fully implement the Action Plan of the ASEAN Economic Cooperation that promotes, among others, the free flow of goods and services among its member countries. One of the challenges in promoting student and staff mobility is the harmonization of the academic calendar of the countries in the region. Synchronizing the academic calendar with most ASEAN, European and American academic partners, according to Pascual, “will create more joint programs and partnerships with other universities, allow students to get transfer credits, particularly under ASEAN and ASEAN +3 Credit Transfer System (ACTS), and address the problem with semestral gaps with partner universities”. The calendar synchronization of members of the ASEAN University Network (AUN) lays the groundwork for increasing students and faculty mobility within the region. Among AUN member universities only the Philippines starts its academic calendar in June. Most universities in China, Korea, Japan, and North America also start their classes in August or September. Only three Philippine universities are members of the AUN: UP, Ateneo, and De La Salle University are all planning to shift to a new academic calendar either in 2014 or 2015. Moving the calendar from June to August will also create a longer break for graduating high schools students before they enter UP. This period, added Pascual, can be used for a longer bridging program for entering freshmen who may need classes in languages, science and math before they enter start classes in UP. Pascual further said that ending the semester in December and starting the second semester in January will create an uninterrupted semestral system that will reduce transport costs for students who go home during the holidays. 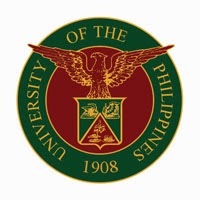 The concerns raised during the consultation process in the different campuses, such as the release of UPCAT results, schedule of licensure examinations, field activities, clinics and internship, and schedule of UP traditions like the lantern parade will be addressed by the different units during the pilot implementation period. An evaluation of the impact of the academic calendar shift will be presented to the Board of Regents after one year. You may download a copy of the statement here.